One of our customers who purchased an Engine Rebuild DVD was interested to know how much it would cost for the engine kit and to have the specialist work done at the engineers before he started – so here’s the answer. 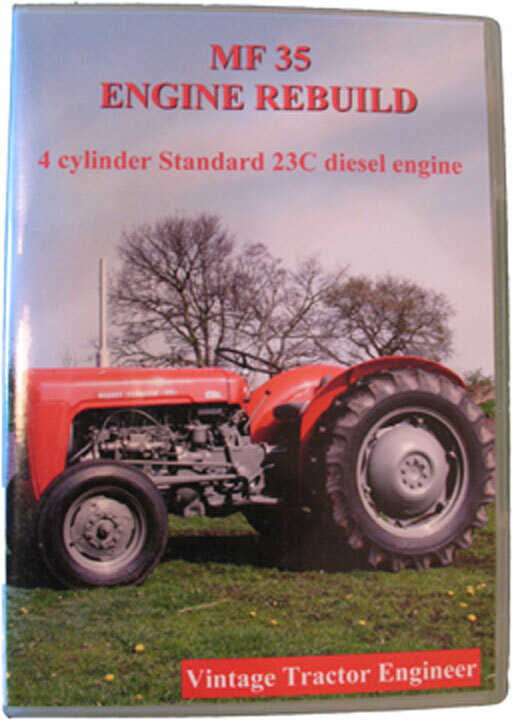 Just watched your MF35 23C engine rebuild DVD (very, very good) . Id just like to know how much it cost to rebuild that engine. Planning on doing my own soon so I just need a rough estimate on how much I would need to spend. Full engine kits are approx £220 for pistons, liners, bearings, gaskets etc. pump wouldn’t need doing and you may get away without doing the injectors but it would finnish the job off if you were to have them serviced. Unlikely that the flywheel will need any work and hopefully your clutch will be OK. Unlikely that you will need the block planing so that will save you a nice bit from the £450 for the engine (maybee £100-£150 saving for that). If you remember from the DVD we had an issue with the liner standout which was why our block needed some work. So in total you could be looking at £700-£800 +VAT which is quite a lot of money. My advice though is whilst it is in bits you must do everything that is required, otherwise you will end up with half a job and the engine might not run much better than before you begun. These particular engines have a reputation for been bad starters but a good rebuild often solves that problem. I know that the 3 cylinder Perkins is the prefered engine of choice for most people but if the 4 cylinder 23C is running right then they are a pleasure to the ear. At least if you are able to follow the DVD and do the job yourself then you can save a considerable amount of money – and you know that the job has been done right! There is nothing more satisfying than bringing the engine back to life and knowing that you have done it yourself. Even after all the engines that we have done I still love to hear them strike up again for the first time after a strip down. tricky, but hopefully the DVD should be a big help. When you get around to doing your engine just email us if you need any advice – we don’t know everything but we’ll try and help if we can. After buying your rebuild DVD I am keen to rebuild my FE35 23C. I was wondering if you could tell me what range of sizes of Spanners do i need i.e. 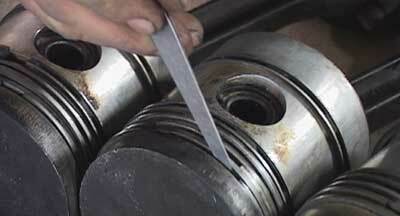 1/4″ -1″ also what size of feeler guages do i need and what size of a micrometer. It would be usefull if you were able to tell me so that I have the tools required to do the job before I start. Not at the moment, but we have a TEF tractor in the back of the workshop which has a seized engine. 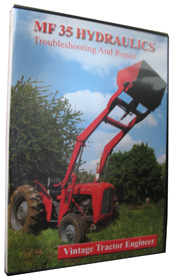 We intend to produce an engine rebuild DVD using this tractor. Just one question: do you have a preferred supplier for spare parts? There are many on the web, but some only have a fraction of the parts, so it would help if you could point me to someone who pretty much has all the parts to rebuild an engine. want to rebuild a fe 35 massey where can i find your dvd to help me.